My article about the delightful and quirky Bristol Wool Fair is published in the third issue of ‘Through Our Hands’ textile magazine. The marquees were an impressive size even from a distance. If you looked carefully, you also might have been able to make out some sheep milling about and being prepared for shearing demonstrations. Getting nearer to the event, the smell of wool and the bleating of sheep were strikingly evident. This was certainly peculiar for the middle of Bristol. And yet, the Bristol Wool Fair was a great success. This article was published on Trebuchet Magazine Website. Rainmaker, the only contemporary Native American art gallery in the Uk, has collaborated with the Native American Indian artist Sarah Sense and a Project Curator of the British Museum, Dr Max Carocci, to bring together the exhibition Weaving Water in Bristol. 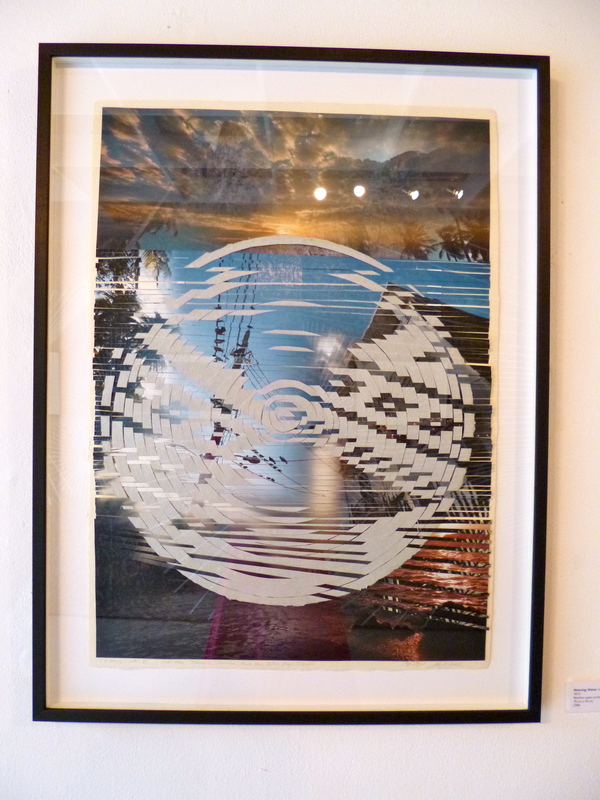 The work combines traditional weaving with photography. This exhibition explores the notions of both forced and chosen migration, and the impact this has had on culture and one’s sense of identity or feelings of belonging. Both communal and personal issues are suggested in this project, which is centred the on sweeping movement of people from continent to continent. In particular, the personal aspects of the work are manifest in the artist’s concentration on the migration and movement of her own tribe, the Chitimacha, from colonial times to the present day.